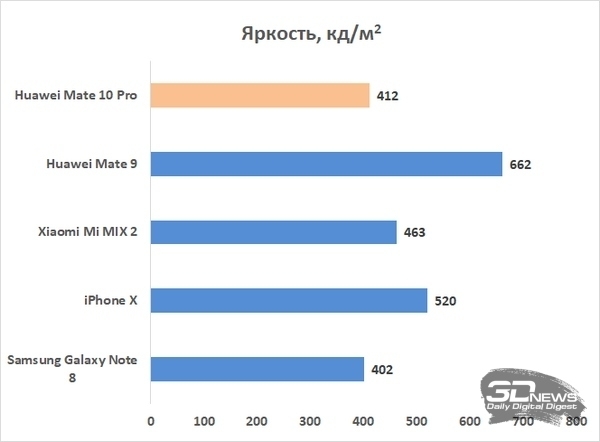 In the preliminary review Mate 10 Pro I already wrote about the fact that his status in Russia is not clear – at the time of announcement of this phone there was no decision on whether it will be officially sold. Did not appear this decision now. One is obvious – if any of the two Mate 10 and reach the official retail, it is Pro. Him made the basic rate – this smartphone is not only more filling, but initially represented in a larger number of countries. Pro version will provide AMOLED-display with a diagonal of 6 inches trendy format 18:9 and managed not to “inflate” the dimensions of the device – Mate 10 Pro more compact than a Mate 9. This version has got moisture protection (IP67 rated), but lost the mini-Jack for headphones, and markedly different in design – in particular, the dual module rear camera does not protrude above the casing. 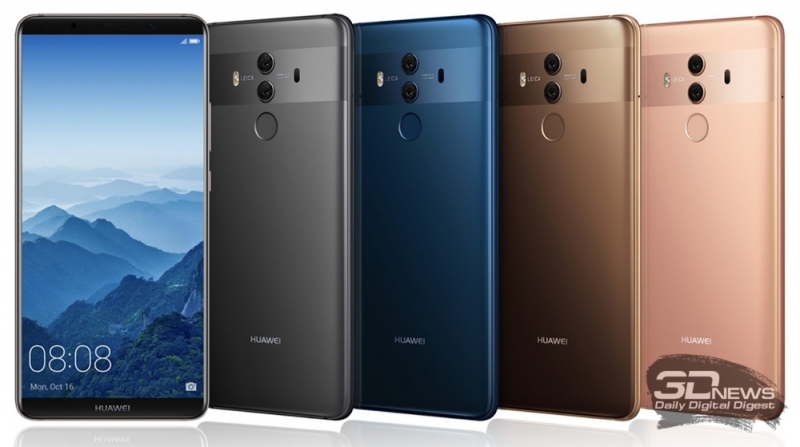 The main family feature Mate Mate 10 10 and Pro shared, and it is something Huawei is betting. 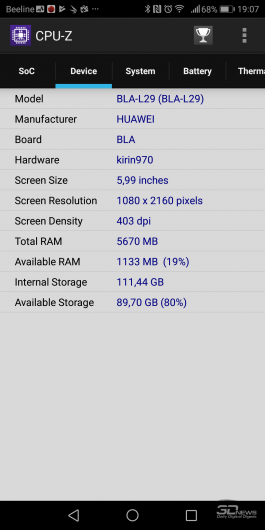 This proprietary platform HiSilicon Kirin 970, which in theory should provide the smartphone of extraordinary ability in the field of artificial intelligence and neural networks. And that’s how its capabilities here can truly be called outstanding, and does it in any way the user’s perception of mobile – it was very interesting to find out detailed testing. 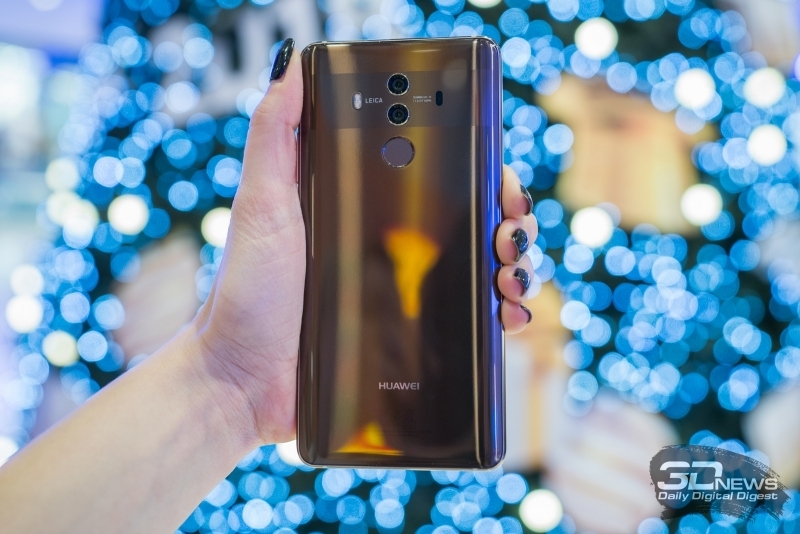 Huawei have already long been no serious problems with the design of their gadgets is not always outstanding in terms of originality, but at least neat smartphones. Mate 10 Pro fits into this range. To come up with something special again Huawei did not, and just followed the footsteps of all major modern trends. Display received 18:9 and, accordingly, occupies almost the entire area of the front panel. And it was no place for physical Home button with a fingerprint sensor, as on P10 or Huawei Honor 9 and even on a “normal” Mate 10, scanner is on the rear panel, as in previous Mate. Above the screen there is a strip which is inscribed the front camera, sensors and earpiece, is to “carve out” a place for this stuff on the screen was not necessary. But soon it will, apparently, do many experiments, Apple will not go in vain for the market. Due to the fact that the screen has almost no frameworks have been nice to reduce the body. As I wrote earlier, the smartphone at a certain skill (and long fingers) can be used with one hand. While doing this in the case of a six-inch display is still scary – not the most lightweight (178 grams), the device has to keep at your finger tips. It is better to use a special “one-handed” mode where the screen occupies the entire area of the display, and moves to the corner. Classic for large smartphones. Here, the virtual navigation keys located on screen – the smartphone has become due to this less, but with the precious workspace is slightly concealed. Back cover made of glass – this decision has become for the Huawei tipichnyy. However, the colors are more modest and respectable than the devices of the Honor, which has set the trend, – the status obliges. On the other hand, together with relatively standard gray, brown, and gold are represented as dark blue version. And it looks really original. In beauty do not get to refuse any Mate 10 Pro. The camera lens protrude slightly above the body – but in comparison to how well they stick to the iPhone, it is really a mere trifle. The fingerprint scanner at the same time, on the contrary, sunk into the body to confuse a finger with a camera unit and slap one of lenses is of course possible, but this happens infrequently. Faces made of metal, and the rear panel is slightly curved, so that the smartphone was even more thin than he is in reality. 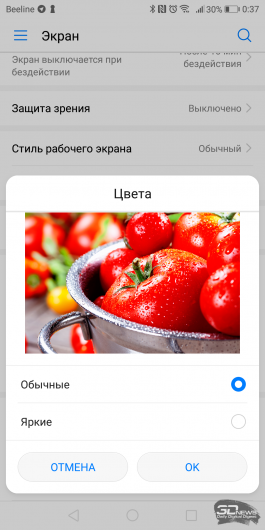 Unfortunately, even the oleophobic coating does not help to save smartphone from a very quick zalamyvaniya – wipe its really easy, but it will have to do very often. Well, or it can be stowed in the supplied silicone case. The housing is protected against dust and moisture according to IP67 standard – in this case, it means the ability to hold a smartphone at a depth of 1 meter for 30 minutes. We check it, of course, did not. A victim of housing developers in the manner Apple had brought such a nuisance that mini-Jack – every time someone does, does this mean Samsung smartphone with a fully functioning analog connector housing at the more severe standard. Used to be depressed and even the Sony Xperia, but lately the Japanese do not indulge us-protected smartphones. The fingerprint scanner works perfectly – not only responds quickly to the touch and instantly unlocks the device but does not experience characteristic of the capacitive sensor issues with fault-finding to clean, dry and intact skin of the finger. Within two weeks of testing the percentage of false positives in a variety of conditions was minimal, and overwrite the print I have. With a scanner you can not only unlock the device or confirm payments, but also to control the camera, answer calls and turn the alarm off. He reacts as a simple touch and swipe – this movement can open the notification panel or swipe through images. 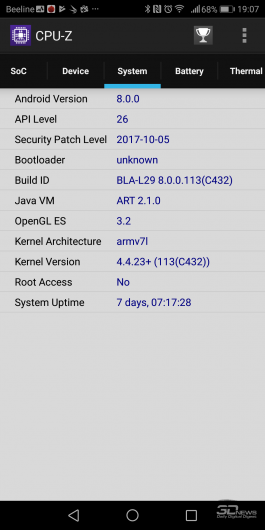 Huawei one of the first to present smartphone Android 8.0 fresh Oreo which is covered by a fresh same version of proprietary shell EMUI, also received the index 8. Jumping over two steps, Huawei has now decided to keep up with Google. The same applies to the degree of upgrading the system – as in the case of Oreo, a noticeable change at least. The overall logic has remained unchanged, but there are a lot of nice things like a mode “picture in picture” (especially nice when watching a video), smart text selection (with the possibility, for example, one click on the phone number or contact to call — without copying phone numbers in the phone book) improved protection of the operating system. 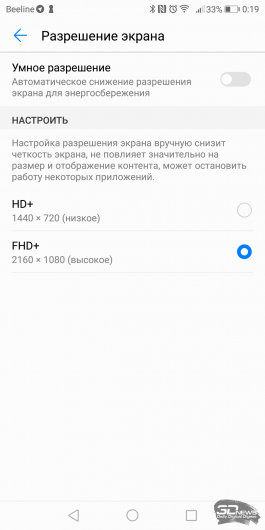 This is with regard to Oreo, and in EMUI 8, we got the Projection mode that allows you to use Mate 10 Pro as a “desktop” when you connect your smartphone via HDMI port USB Type-C cable to the monitor. The chip, invented at the time Microsoft/Nokia Lumia that has become increasingly popular for smartphones on Android. A similar thing is and Samsung. Also in the latest EMUI you can change the resolution of the display, there are more Wallpaper and style for your desktop added options of energy saving and the ability to change the desktop style on the original Android (with a separate menu of apps), but the General sense of the shell remained unchanged – it is very neat and despite the significant external differences from the pure Android, not look ridiculous or Intrusive. One of the best “copyright” shells today. Key changes in EMUI, as in Android itself, dealt with the internal processes. In the first place — the “artificial intelligence”. Smartphone really works very quickly – Huawei has kept his promise to make app launch fast. And Mate 10 Pro from time to time takes the liberty of anything to recommend – most of the time I “drove” on the recommendation to include “night” mode with a sharp decrease in color temperature shortly before bedtime. It also automatically included the split screen, if you have received an important notice, as I watched the video. Such things really were a lot — and they were taken for granted. Not to say that this dramatically changes the feeling of using a smartphone, but not look obtrusive – boundaries observed correctly, and it is very nice. 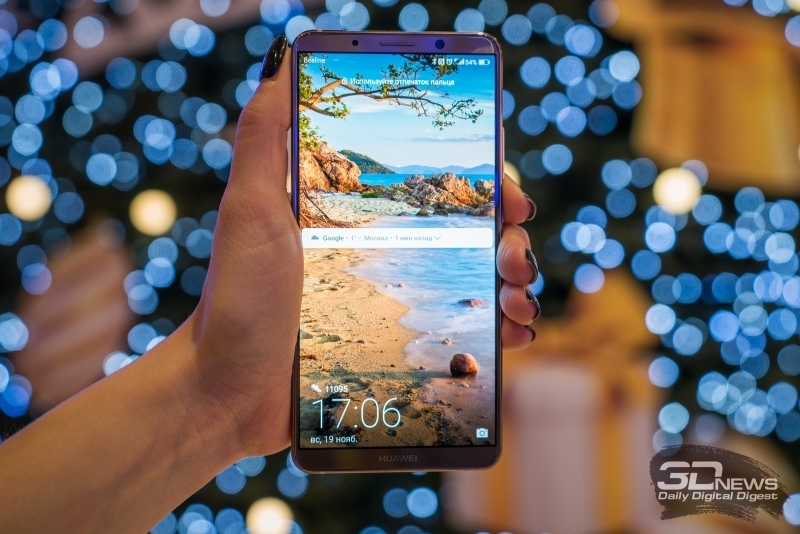 Huawei reluctantly used OLED displays – exclusively as options for their most expensive electronic gadgets like Mate 9 Porsche Design. By the way, this version is for Mate 10 Pro, but is really just design. Now AMOLED-matrix is obtained and the chief Mate (on the usual “top ten “still not made a serious bid). And this is good news – the LCD is quite long overdue, if not to the dustbin of history, then at least to reduce its representation in the “highest circles” of smartphones. OLED LEDs are superior to even the best IPS contrast ratio and much better than the show itself in the sun, not behind the viewing angles and color reproduction — if setup correctly. Screen Mate 10 Pro, of course, is no exception. But it is curious that Huawei was again used in its flagship Quad HD-resolution (10 Mate, by the way, with Quad HD screen). How to explain such modesty – is not clear. The pixel density of normal — 402 ppi. Pixelation is not evident, but it’s actually a six-inch screen you can have more resolution. Yes, low resolution has a positive impact on autonomy of the device, but in comparison with competitors still somehow undignified, agree. Format 18:9 manifests itself in the standard way in most normal applications you won’t see serious differences, but in the video almost certainly would be strips at the edges of the picture – most of the clips cropped to 16:9 format. Touch panel (supports ten touch, works with hand gestures) can respond to the touch of a hand in a glove when you activate special settings. Measurement of contrast in conduct is useless – OLED displays it is almost endless, we see on the screen is absolutely black in high contrast scenes. But the figures of the measured brightness at times are not impressive in the frontal compared to an LCD due to the fact that here each pixel is lit individually, and not used for General illumination lamp. 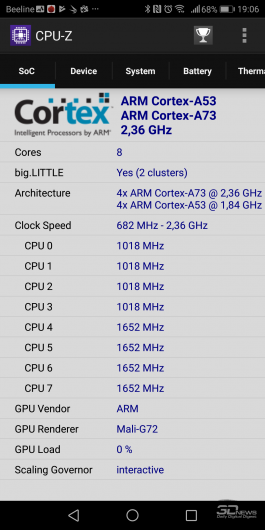 Have a Mate 10 Pro is a 412 CD/m2. At 9 Mate, I will remind, it was already 662 CD/m2. Thus the sun to use Mate 10 Pro even more comfortable just due to contrast: the image fades slightly, but remains not only readable, but also quite full-color. In setup screen Mate Pro 10 there are no serious problems. 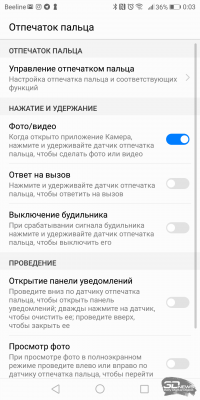 In the settings you can choose “bright” or “normal” display mode. In the first case, use the expanded color gamut – the colors are noticeably more saturated, but suffers accuracy: color temperature is too high (7500-8000 K), the average DeltaE deviation for the extended Color Checker palette (shades of gray + a wide variety of colour shades) is 5,43 – mediocre. Gamma is quite acceptable, at 2.23, the curves also behave consistently. This mode is used by default. If you change it to “normal”, the color space closer to sRGB, the picture is warmer, and the figures will improve – we will see more honest, but not so bright colors. Gamma of 2.08, the temperature in the area of 6500 K (standard), the average deviation of DeltaE scale Color Checker is of 2.92 (also in the normal range and much better than most smartphones). Someone like that. In terms of sound nothing special Mate 10 Pro does not show. This is the expected mini-Jack no, whereupon use of a smartphone with a really good wired headphones is possible only via the supplied adapter. The point is whether it (Huawei does insist on using the supplied headphones with USB Type-C is quite mediocre, however), whether still in hardware, but it sounds ordinary Pro – the sound is not too detailed, with excessive emphasis on low frequencies, making the audio seem slightly pinched and muted. Holders of a good wireless headphone will rejoice – supports aptX standard, but again will have to do without audiophillia. But the sound of external speakers is beyond reproach. Since they work in pairs (one on the lower edge and the second above the screen), creating let and original, but stereo effect. The volume is sufficient for any situation, a serious “cleanliness” of sound speak especially not necessary, but for viewing videos from the Internet that is enough. 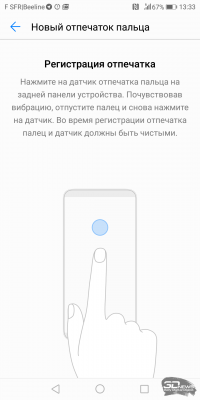 To call with Mate 10 comfortable Pro – interlocutor can hear perfectly, since the end of “the wire” also, no one complained.